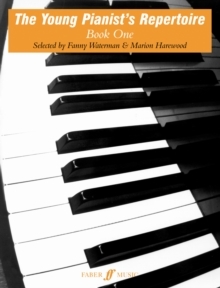 The Young Pianist's Repertoire Book 1 is part of The Watermann/Harewood Piano Series for piano solo repertoire, devised jointly by the world famous piano teacher Dame Fanny Watermann and her co-founder of the Leeds International Piano Competition, Marion Harewood (now Thorpe). It is established as one of the foremost piano methods and represents a distillation of the thoroughness, inspiration and sense of adventure that characterize Dame Fanny Watermann's own teaching methods. The excellence of the musical material and attractive presentation have won universal acclaim.